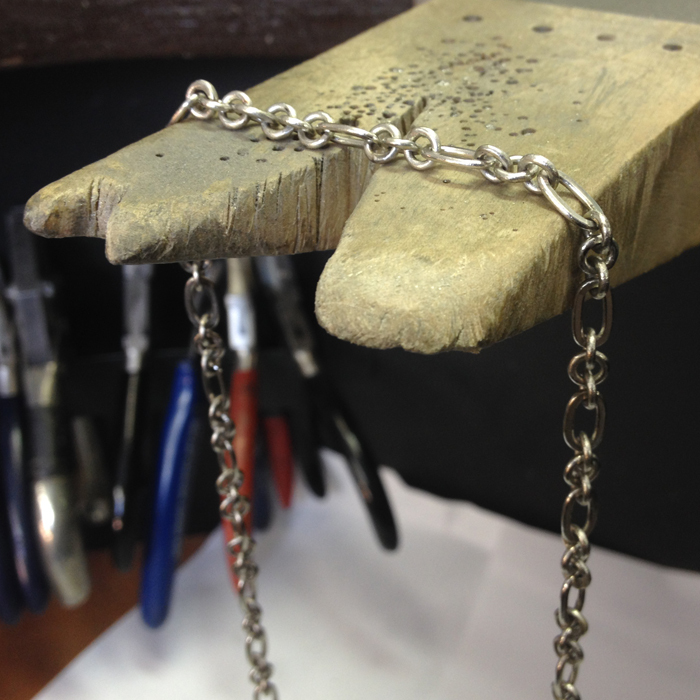 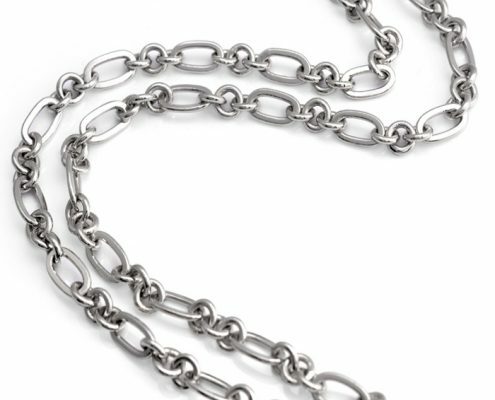 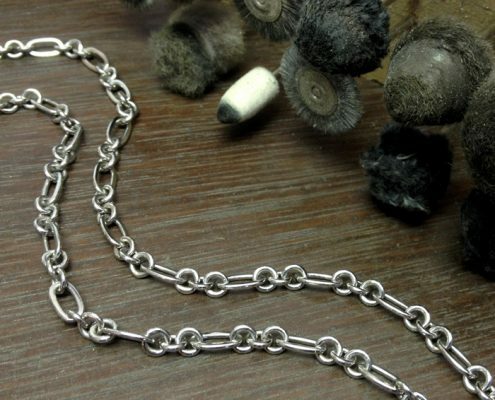 Commissioned bespoke chain made in solid Platinum. 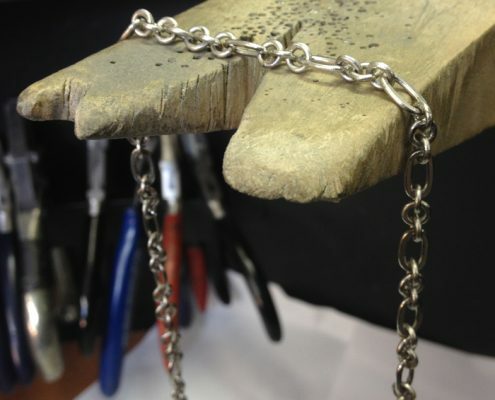 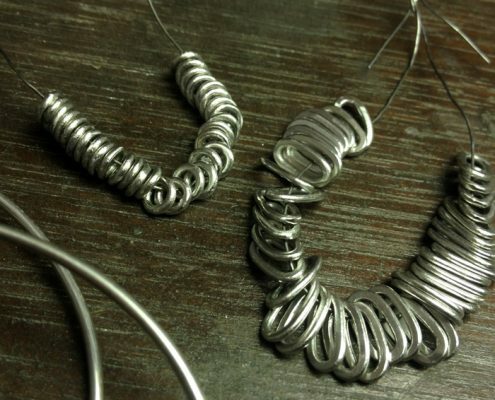 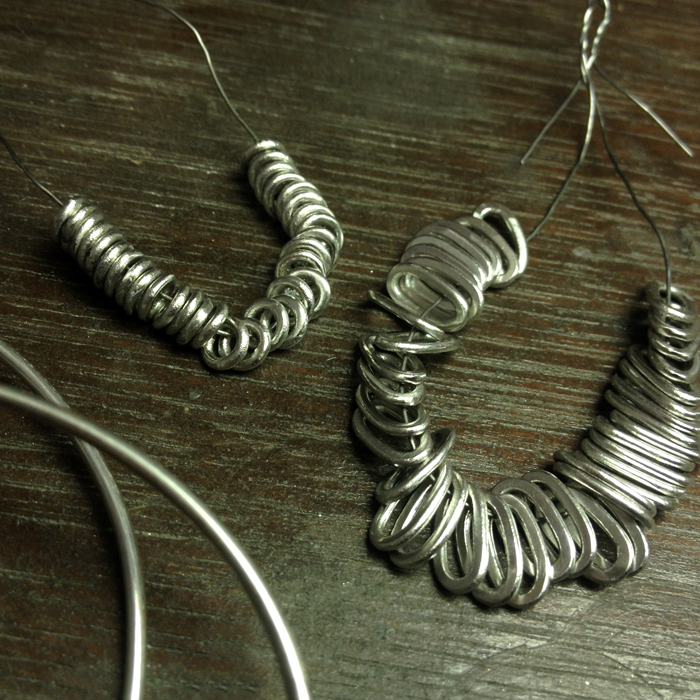 Each link is hand made from round and D shaped wire soldered in a repeating pattern in accordance with the client’s brief. 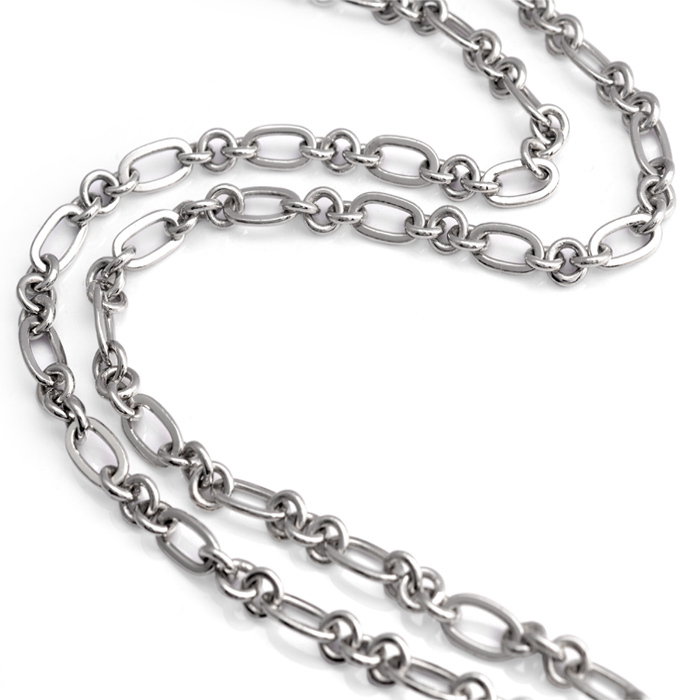 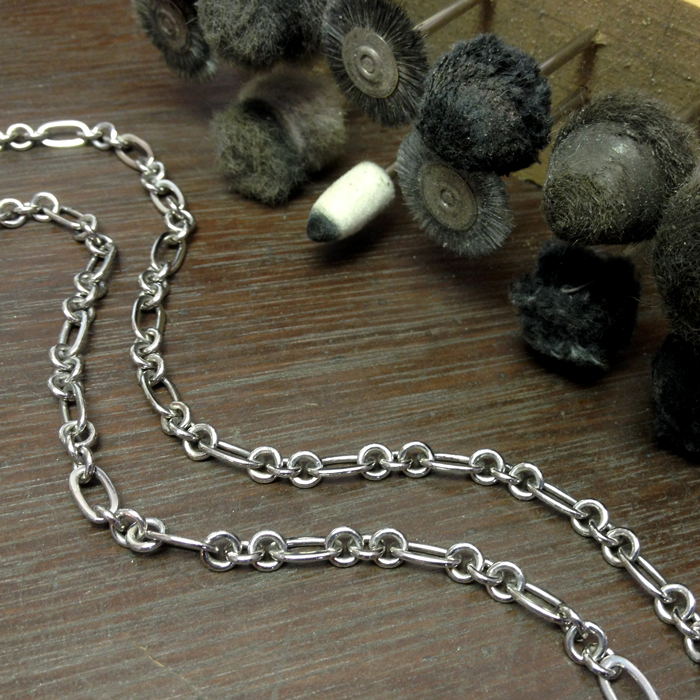 All links are bright polished with a trigger clasp attached. 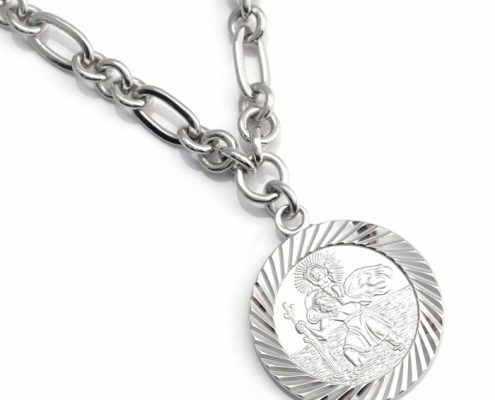 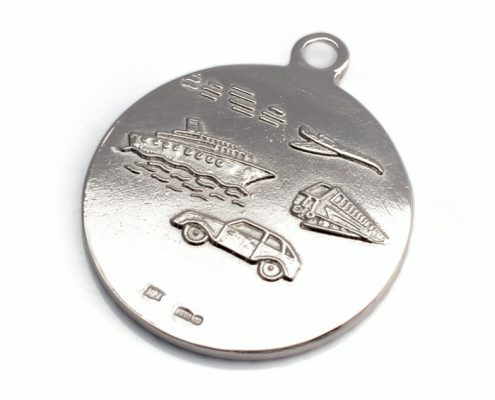 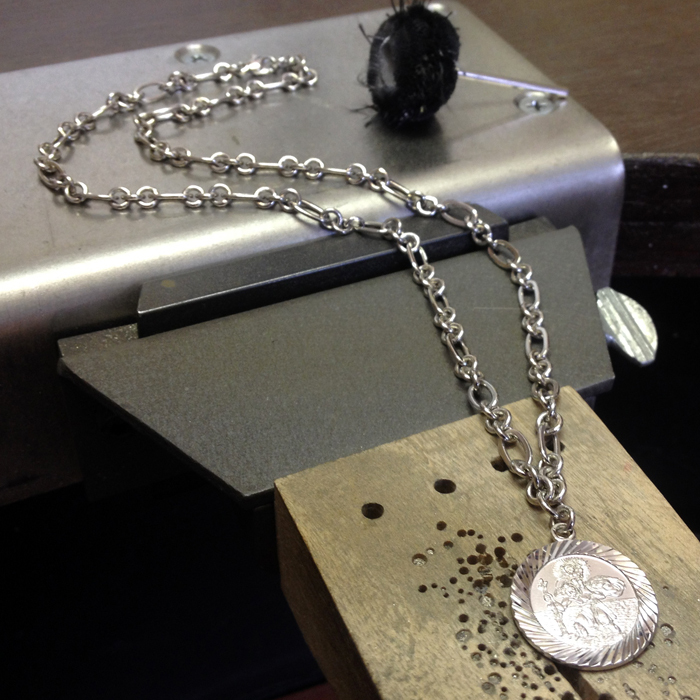 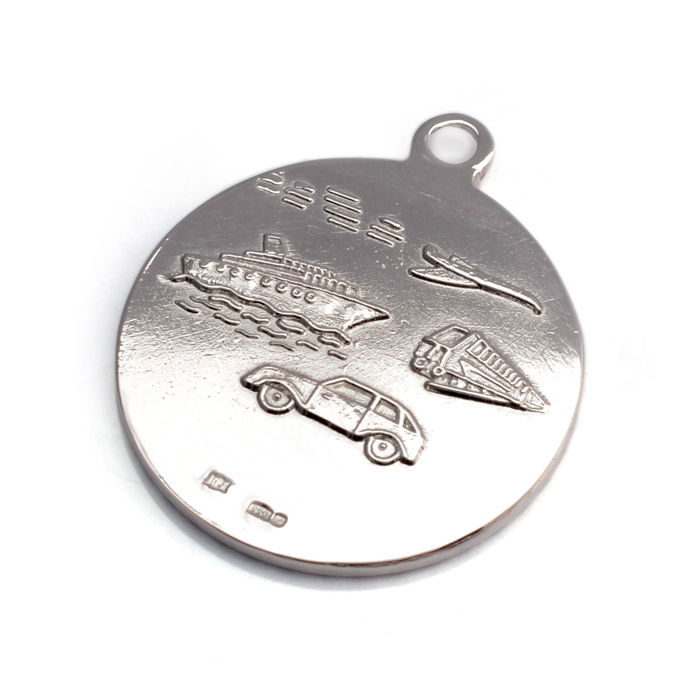 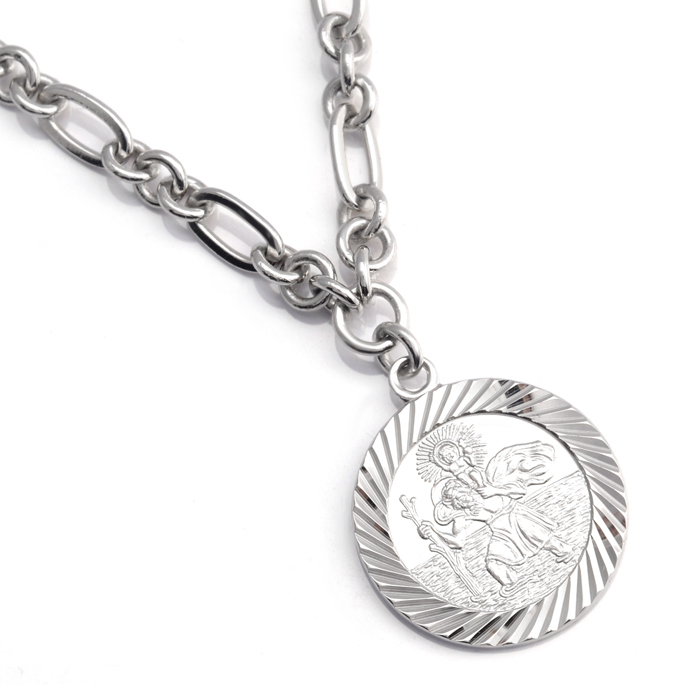 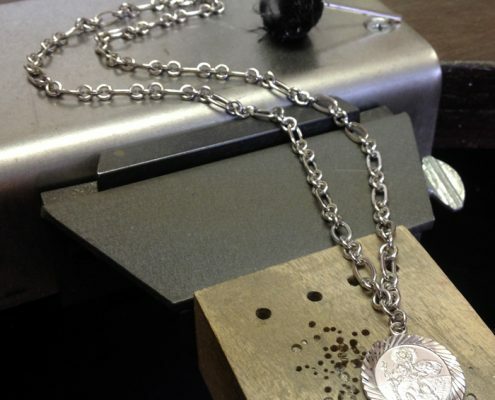 A stamped/diamond cut Platinum St Christoper has been fixed forming the central pendant feature.